Here’s a cool new coral food targeted specifically toward LPS keepers. 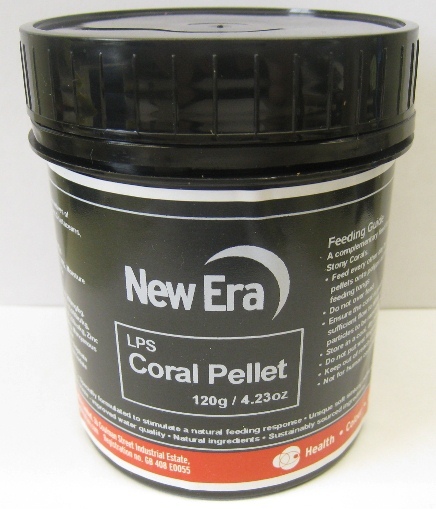 Based on the popular Marine Pellets, the LPS Coral Pellet by New Era Aquaculture is a moist extruded soft pellet that has been specially blended for coral feeding. These pellets are approximately 4mm long, but can be mashed together to form a ball of LPS feeding goodness and better suit the needs of your corals. These little reef snausages also have a built-in aroma that entices corals to eat them, which is particularly useful for new corals that are stressed by the new environment. Unfortunately though, this aroma might also entice fish and invertebrates, which makes target feeding a little more difficult if they aren’t fed first. 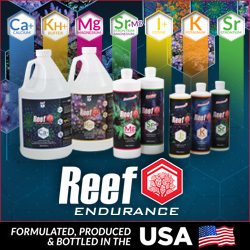 According to New Era, the formula used in these pellets locks in nutrients, preventing them from leaching into the aquarium and fouling up water quality. This also helps deliver maximized nutrition to the corals. 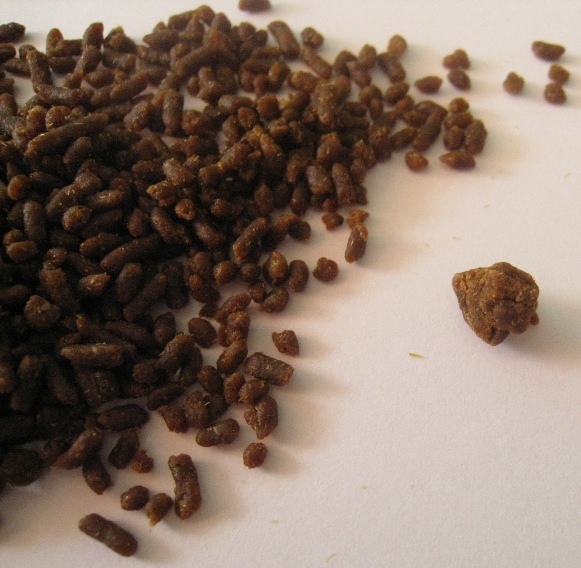 The LPS Coral Pellet is currently available in a 120g container for roughly $17 and an additional picture of the pellets can be seen below.